Learn from the experiences of a student who went from General Member to President! During my Junior year of college, I was an anxious mess. After transferring into the business college following my third change in majors, I couldn’t help comparing myself to my roommate who seemed to be effortlessly gliding through her coursework in accounting and extracurricular activities. My university is huge, so changing majors landed me in a college where I didn’t know anyone. Quickly, I realized that classes weren’t necessarily the best place to meet new people. It’s funny how in high school we detest assigned seating, but in college, we assign our own seats as if they were an extra limb we can’t be severed from. Looking back at that moment, I realize how much I’ve learned and evolved over that past couple of years. Here are the six truths I’ve discovered from getting involved in student organizations. Join an Organization You Actually Want to Be a Part Of! Some students view student organizations as a way to build their resume or as a stepping stone to a better opportunity. Joining an organization they actually want to be in isn’t their first priority. Due to this mentality, I’ve seen students with membership status who only showed up to a single event and officers who’ve continuously flaked on their responsibilities. These actions can demotivate others and can affect other officers’ (who actually want to be there) ability to get things done. Students who care about their organizations even designated these types of students with their own term, “Resume Builders”. If you’ve ever contemplated on joining a student organization you didn’t care about for an additional section on your resume, you should reconsider. Universities typically have hundreds of student groups and clubs to choose from. (My university alone currently has 667 student clubs and organizations!) There are literally endless options for every interest and if there isn’t one for your interest, you can start one. Employers Don’t Care What Student Organization You Were a Part of, They Care That You Were Passionate! Employers don’t care if you were in a Greek organization, the Student Council, Honors Society, Skydiving Club, Bird-Watching Group, or part of the Marvel Comic Enthusiasts Society (okay…a few might). What employers want to see from their interviewees is a general passion for the extracurriculars they decided to spend their time in. Employers want to hear how you volunteered (and showed up on time) at every event or boosted the organization’s membership by 30% or successfully ran a large interactive discussion amongst 40 members. What employers care about are your actions and accomplishments. Someone who was actively involved in a bird-watching club and made it their goal to help the organization grow and become better than its former self is an innately more interesting candidate than the person who only showed up for a few meeting of their Honor’s Society. Becoming an officer for a student organization is a great way to build onto skills you’ve learned either inside or outside of the classroom. Personally, I had a few weak spots I wanted to strengthen in public speaking, leadership, and web development. Student organizations offer a safe environment to build your hard and soft skills. Hard skills are the teachable skills that are easily defined and measured (i.e. accounting, writing, ability to use software) and soft skills are experience-based skills that evolve from practice and personal values (i.e. leadership, teamwork, problem-solving). For example, I originally wanted to create a student organization website to practice the hard skills of web development and design. By interacting with other members and officers and tackling more responsibilities, I started to branch out. I found myself doing things I would have previously would have been terrified to do. I went from building a website – to becoming Secretary – to creating and teaching workshops – to mentoring a team – to being elected President! And it all started from just wanting to get involved in the first place. Student Organizations are no exception to drama. As Secretary, I’ve had to deal with Group Think, a stifling problem that occurs when people are afraid to express their differing opinions to the group. I’ve had to work alongside another officer who I just greatly disliked as a person, but I sucked it up and made the best of it. After college, chances are you won’t get along with everyone in your workplace (just a fact of life). But you shouldn’t quit, or do less work, or stir up more drama because, at the end of the day, you have goals bigger than the obstacles that need to be accomplished. As an Information Technologies Student with a concentration in Web Development, I was itching to build a website for a student organization to start my portfolio. The first organization I advertised my services to was when I ran for the Webmaster position of the Association of Information Technology Professionals. Not so surprising was the large popularity of this position when it came to elections. Since I never built a website, I stood no chance against my peers who’ve already had quite the portfolios. It was when I reached out to a small student organization called Women in Business that I got my chance to develop my first website (Which looks amazing by the way *Humble Brag*). Funny enough, no one had even offered to develop a website for this organization that was founded around four years ago! During my Senior year of college, I became President of the Association of Information Technology Professionals (the same org that didn’t choose me to be their Webmaster). While our website looked great, Marketing had been a sore point for the student organization. The first thing I did was attend a meeting of my university’s Marketing Association to find students that were itching to build their skills as I once was. Don’t be afraid to reach out to a student organization that doesn’t relate to your field. They just don’t know how much you’re needed yet. You’ll build your skills and might even learn something new in the process. 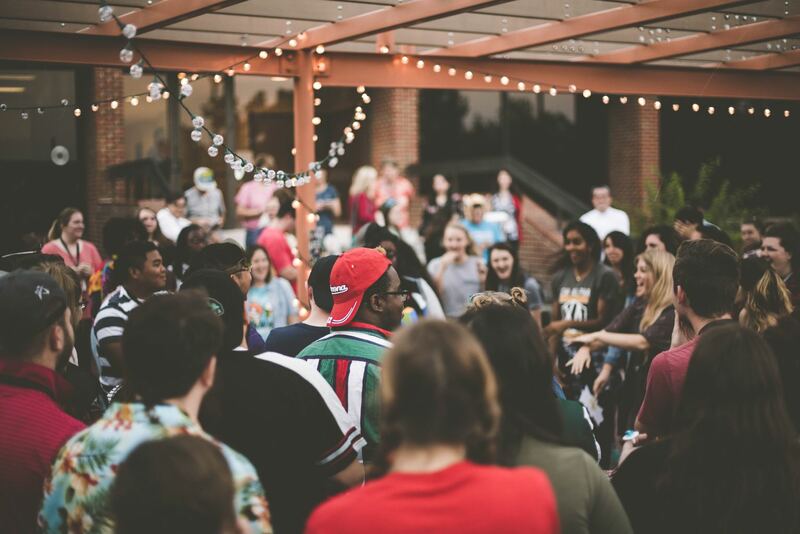 Sure, student organizations offer a ton of great opportunity to network with peers and even employers, but an often overlooked benefit is that they offer a sense of community. Since I started a new major during my Junior year, I went from not knowing anyone in my classes to knowing each classmate personally. Going to class no longer felt like a room full of strangers, but a room full of companions helping each other make it to graduation. I saw my peers not only in class but at club meetings, in intramural sports, at industry tours, at bars, and most Thursdays at Fuzzy’s Taco Shop. At the end of the day, I didn’t help run a student organization to only build up my skills or make my resume stand out in a crowd, I wanted to help my community and give them the awesome group experience they deserved! There is a vast amount of knowledge one can gain from being part of a student organization or club, but a blog post can only be so long. Comment below with your student organization stories!